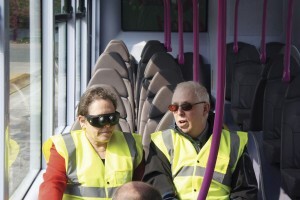 First UK Bus has become the first national bus operator to sign up to the new ‘Bus Charter’ launched by the RNIB (Royal National Institute of Blind People), which ensures bus services are accessible for customers with sight loss. The signing of this Charter was marked by a ‘Swap with Me’ event, which saw bus drivers change places with blind and partially sighted customers so they could better understand the challenges people with impaired sight face when using the bus. 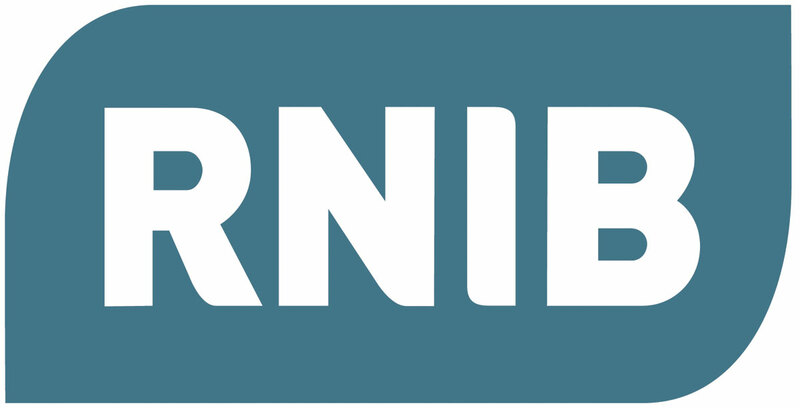 RNIB’s charter is designed to tackle the main problems faced by blind and partially sighted people, to give them a voice in a positive and constructive way. The RNIB’s ‘Stop for me, speak to me’ campaign has defined what these challenges are, with the organisation having spoken to older, disabled, blind and partially sighted passengers to find out how they think things can be improved. First on RNIB’s Bus Charter is a range of points outlining what visually impaired passengers expect from bus drivers. 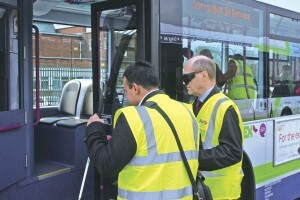 This includes the operator agreeing: its policy will be to pick up any waiting passengers at stops, with the bus positioned safely with no obstructions to entry; its drivers will tell the blind or partially sighted person which service they are and ask if they need assistance; its drivers will not pull away until the blind or partially sighted passengers have found a seat; and it will ensure any audio announcements will not be switched off or turned down. The second part of the Charter focuses on working with others to make improvements. It includes the operator agreeing to: check all customer feedback systems with blind and partially sighted passengers, ensuring they are as accessible as possible; review its timetable and stop information in conjunction with blind and partially sighted people, local authorities and other stakeholders to ensure optimum accessibility; and make sure all its drivers are aware of the rules around concessionary passes and will support the scheme with a travel assistance card that indicates what additional assistance is needed. The Bus Charter will also see operators enhance the bus environment for visually impaired passengers. This includes agreeing to: seek to improve the way sound can be heard through the assault screen; actively promoting the priority seating and areas for disabled people; make the pass scanners as visible as possible; explore all options of using audio announcements; and prioritising vehicles with audio announcements to routes chosen in consultation with passengers with sight loss. The Charter also encourages signees to build interactive sight loss awareness training into its existing training programme. 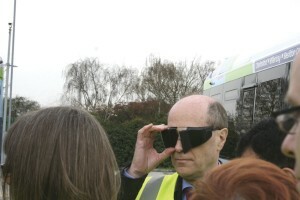 It suggests blind and partially sighted people are involved in the design of the training materials and activities, with endorsement sought from organisations representing people with sight loss and vision impairment. Giles Fearnley and Baroness Kramer, as well as CPT staff and drivers from the depot, participated in the ‘Swap with Me’ activity. 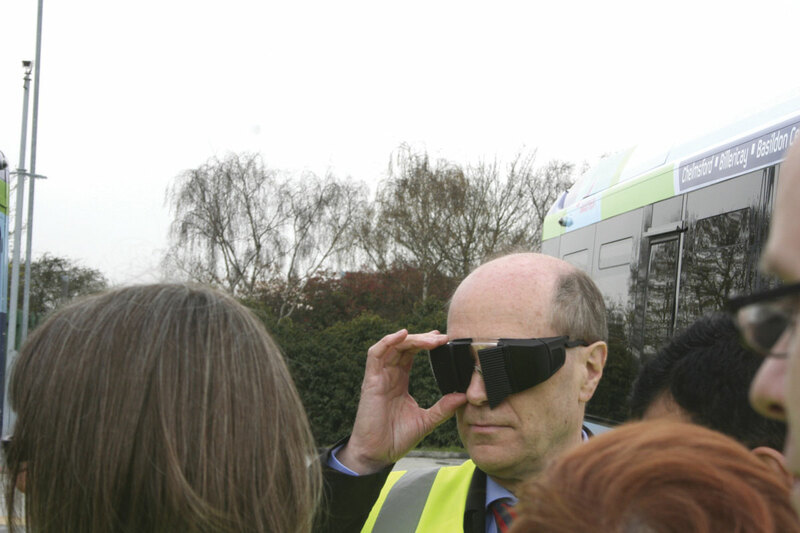 It saw them wear ‘sim specs’, goggles that simulate a vision impairment and were tasked with hailing and boarding a bus, interacting with a driver, finding a seat and disembarking from the vehicle. Throughout the experience, each participant was paired with a blind or partially sighted passenger to discuss what their needs are and what difficulties they face on buses. Giles commented that it was a ‘great learning experience’.